Shocking footage has emerged of police stopping one black man who was out for a jog, and questioning him on ‘where he is running from’. Corey Dickerson was out exercising when officer Kenneth Price stopped his squad car and asked what he was doing outside at 12.30am. The officer, from Talladega, Alabama, was not satisfied with being told by Dickerson he was out running, and repeatedly asked what he was doing. At one point, the officer even asks for identification, citing the recent spree of burglaries in the area. 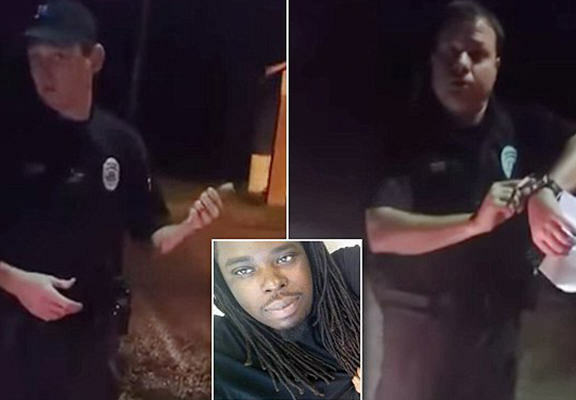 The video was originally posted by the Free Thought Project, with Dickerson having to explain to a second officer what he was doing, before being allowed to carry on with his jog. The project point out that for an officer to stop a person in Alabama, they have to have reason to believe the individual ‘is committing, has committed or is about to commit a felony or other public offense’. Obviously, it’s clear that was not the case here, with widespread outrage accompanying the footage.